The Folding Stand Case from Encase in pink for the iPad Mini 3 / 2 / 1 combines a clear polycarbonate shell with a built-in folding front flip cover. 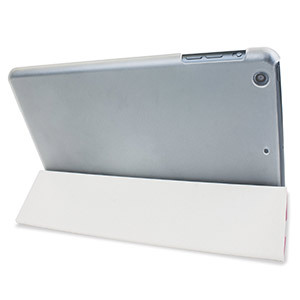 The flip cover doubles as a dual-position stand, ideal for typing and watching media. Nice fit, a little bit stiff. Great service from Mobilefun, quick shipping. 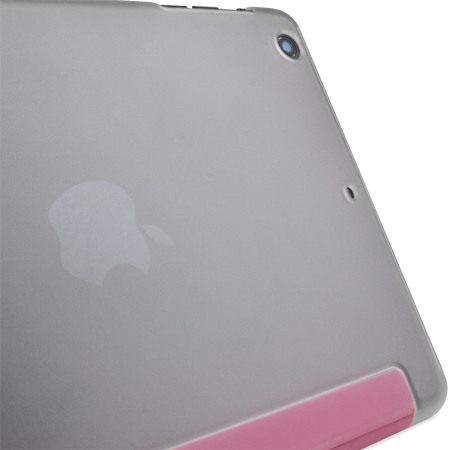 The Encase Folding Stand Case protects the iPad Mini's display, shielding it from accidental damage which arise on a daily basis all the while maintaining the thin and light design of the iPad Mini. 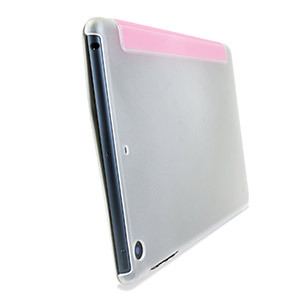 The Transparent Shell Folding Stand Case from Encase includes a clear polycarbonate hard back that clips onto the back of your iPad Mini 3 / 2 / 1. 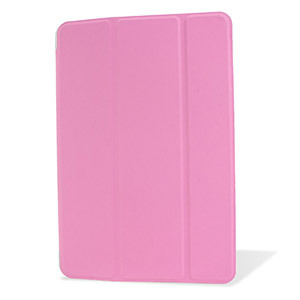 The case protects the edges, corners, and back of your iPad Mini against everyday bumps and scrapes. 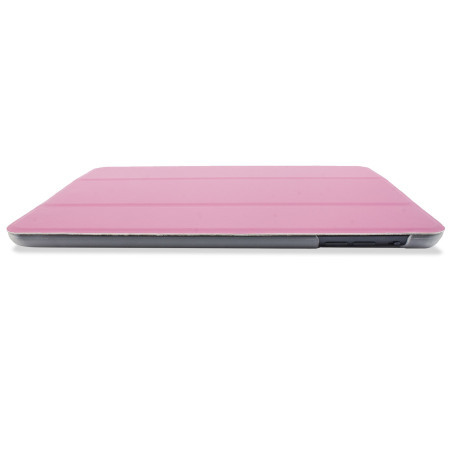 The Encase Folding Stand Case combines a folio front cover with a hard back so you get full 360 degree protection for your device. 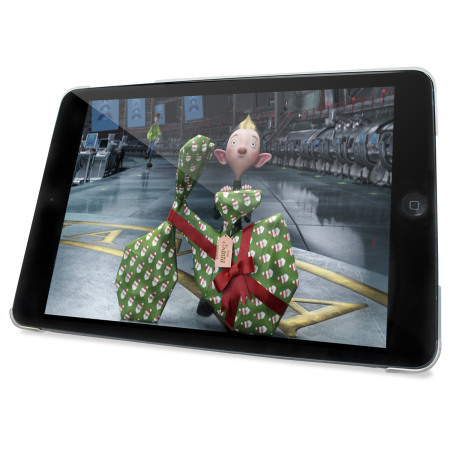 With its thin yet protective design, your iPad Mini's screen is safe without covering up its durable aluminium back. So your iPad still looks and feels like an iPad Mini — just with a little extra protection. The Encase Transparent Shell Folding Stand Case folds in just the right places to become the perfect FaceTime and movie-watching stand. The folding stand case also doubles up as a keyboard stand. 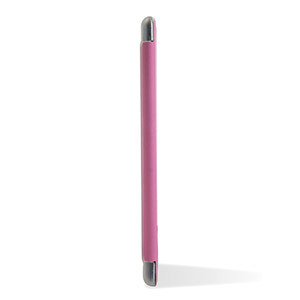 Fold it back to tilt the iPad Mini into a comfortable typing position. 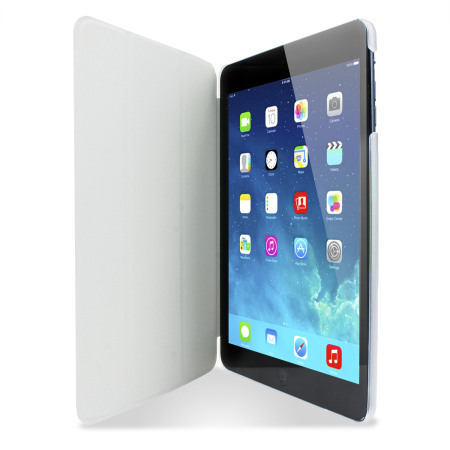 A soft micro-fibre lining inside the Encase's front cover provides a delicate soft feel while helping to prevent scratches, meaning your iPad Mini's screen stays looking sharp. This product is designed specifically for use with the Apple iPad Mini 3 / 2 / 1, so offers a perfect fit and does not impede the use of any of the functions such as the power and volume buttons, headphone and charging ports, or front and rear cameras. The Victoria Floral Case is compatible with the iPad Air 2's sleep/wake function. Simply open the cover and the iPad Air 2 intelligently wakes up. 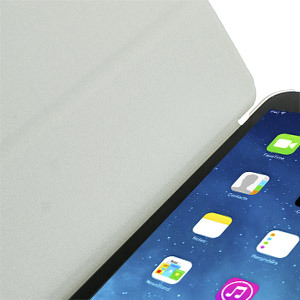 Close it and iPad Air 2 automatically goes to sleep - no need to press any buttons. This means you only use your precious battery power when you need to.